Of all the five senses our hearing is perhaps the most precious. Deprived of this, we lose contact with the people we love and world in general. Consider all the sounds you encounter, every single day: friends chatting, children laughing, a favourite song, a loving remark. It is this invigorating, informative symphony of sounds that makes life richer. As well as helping us communicate and socialise, our sense of hearing helps to keep us sage. A fire alarm ringing, a car honking its horn, or a child shouting “Help!” are just a few examples of vital signals that we need to be able to hear. We rely on our hearing in so many ways, which is why we should treasure and protect it. Hearing loss can creep up so slowly that the person affected is often the last on to know. In fact, friends, co-workers or family members are likely to spot the problem before you do. They might say, “You are not listing to me” They may get annoyed because the TV is too loud. And they might wonder why you do not react when a friend calls you or when the doorbell rings. The real problem is often not the condition itself – but that we do not recognise it and so something about it early on. 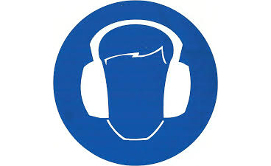 To avoid this fate, you need to be able to recognise the signs and get your hearing checked. People get their eyes and teeth checked on a regular basis, so why not add y our ears to the maintenance list? 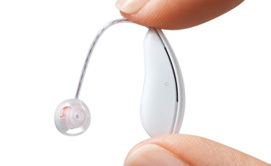 It takes less than an hour to assess your hearing health – and the sooner a hearing loss is detected, the better. As we get older we may lose our ability to hear softer, high-pitched sounds. Birdsong is fairly easy to live without, but getting by when you lose some of the building blocks of speech is a far more challenging affair. Conductive hearing loss is caused by problems in the outer and middle ear, which can prevent sounds getting through to the inner ear. 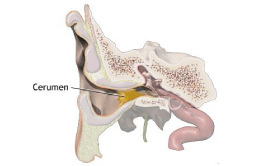 The most common cause can be build-up of wax in the ear canal (CLICK HERE for wax removal), perforated eardrums, fluid in the middle ear, or damaged or defective ossicles. Even with a hearing loss you might feel that life sounds just as loud as ever. Some sounds – like a lawnmower – remain audible while others become harder to hear. Take the voices of women and children, for instance. You will have to work doubly hard to follow what they are saying, as their voices are softer and higher pitched than men’s voices. Our hearing gets weaker over the years, it basically starts to decrease before you become a teenager, it is a very slow process, therefore it is difficult to recognise. 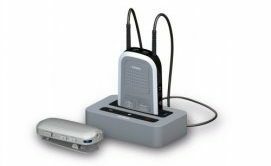 Knowing more about what to be aware of will help you monitor your own reactions: if you find yourself saying “What?” and “Sorry – could you repeat that?” you will knkow that it is time to take action and get your hearing tested. Sounds can be described as loud or soft, high-pitched or low-pitched sounds, while a double bass, or traffic in the street are examples of low-pitched sounds. What makes speech so hard to follow with a hearing loss is that it involves so many different sounds in a rapid flow. The softer, high pitched consonants such as ‘F’, ‘s’ or ‘t’ can be drowned out by the louder, low pitched vowel sounds such as ‘a’, ‘o’ and ‘u’. so if someone says “statue” and all you can hear is “s_a_ue””, you will be forced to try and guess the rest – by which time the conversation will have moved on. At meetings and social events there is nothing worse than having to ask people to repeat themselves. You might blame others of mumbling, when it is actually your hearing that is at fault. Communication will become increasingly difficult, until eventually you will withdraw from social situations completely. We all want to feel in control of our lives. We all want closely knit familes, loyal friends and active lifestyles with interesting pastimes. But when you allow a hearing loss to go untreated, you put all these life quelities at risk. You may start to experience all sorts of emotions from worry and embarrassment to sadness and loneliness. You will also feel tired and irritable from having to concentrate harder. Left unattended, hearing loss can lead to feelings of isolation and depression. Happily things do not have to get out of control. Surveys show that treating a hearing loss has a positive impact on peoples physical and emotional well-being. There is no doubt that taking the responsibility to look after your hearing will turn your life around. Hearing loss does not only strike yourself; it hits the people with whom you interact. Whether through meaningful conversation or playful teasing, the exchange of ideas suddenly becomes slower and far more tedious. Imaging having your best friends over for dinner. You try to follow what they are saying, but their voices sound blurry. When they are telling jokes you strain to catch the punch line. You laugh when they do but you did not really get it. And in the end you just drift away. Your partner and family are expected to show compassion and consideration but ther do not really understand your problem and they may not always have the time and energy. Rather than waiting for them to run out of patience and push you into taking action, why not take the initiative and set the pace yourself. 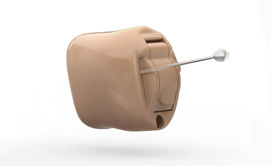 Visiting one of hearing specialists is a huge step towards better hearing and it is easier to take than you might think. It does not take long, it does not hurt, remember to take someone with you to keep you company and to help you remember what is being said.